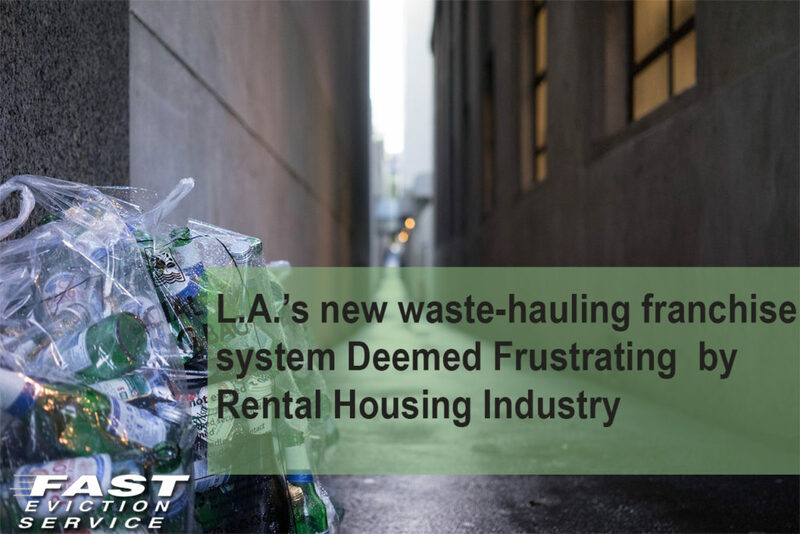 On Tuesday, around forty-five multifamily housing industry representatives testified about the level of frustration they are feeling with the emergence of new waste-hauling franchise system in Los Angeles. The program, dubbed as RecycLA, was introduced in July 2017 and ever since it’s launching the California Apartment Association observed a considerable decline in the service. All sorts of issues were faced by residents most prominent being missed pick-ups at multiple occassions, while the rates were increased tremendously, that is, by 400%. Rental property owners decided to share their stories at the CAA’s Energy and Environment Committee hearing held at the City Hall on Tuesday. Moreover, Kenworthy stated that trash has piled up in members’ communities, which is not only aggravating pest control issue but increasing janitorial expenses and causing unnecessary trouble for renters. A coalition is being developed by the CAA LA to work with the city government to address the issues caused by RecycLA. Larso: What Rent Increases May Be Made?